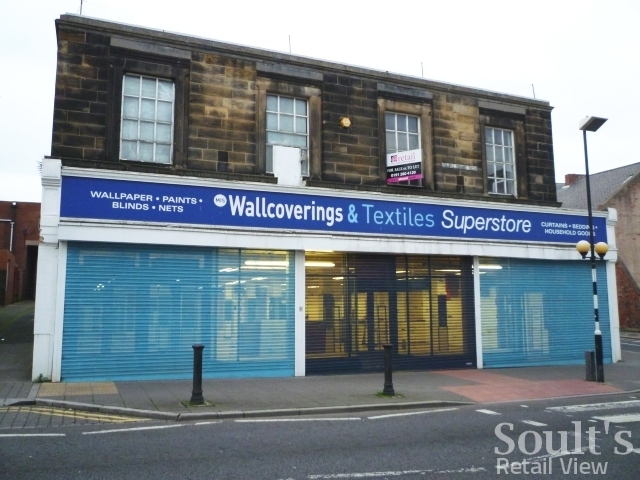 Frank’s the Flooring Store has confirmed to Soult’s Retail View that it is in possession of North Shields’ former Woolworths site, and expects to open there in mid-January. One of this blog’s readers had tipped me off about the news last month, but this is the first time that Frank’s has verified the story. It will be the carpet and flooring chain’s 34th store – all but one of which are in the North East – and comes at a time when the retailer is expanding rapidly, reportedly buoyed by rising sales as householders invest in improving their homes rather than moving house. Significantly, many of the new stores – such as last year’s opening in Consett, below – are in high-street rather than out-of-town locations. Known in the past as Frank’s Factory Flooring, the business is famous for its memorable – some would say annoying – local radio ads featuring the slogan “I love carpets, me!” However, its product range has grown beyond carpets over the years, to encompass vinyl flooring, wooden floors and rugs. 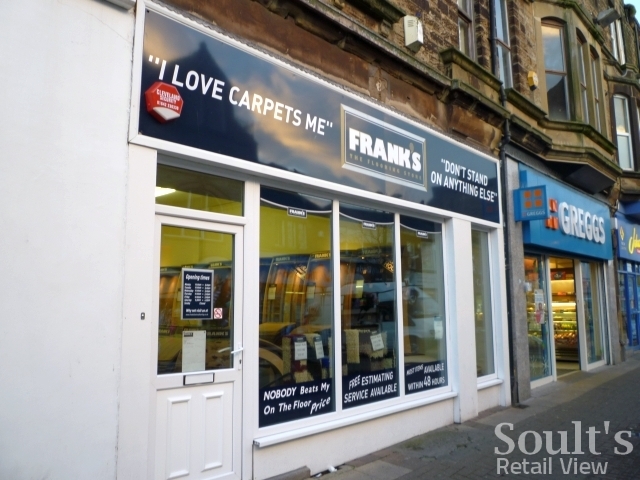 Frank’s also sells beds in a selected number of stores, echoing rival flooring retailer Carpetright’s recent move into that category. 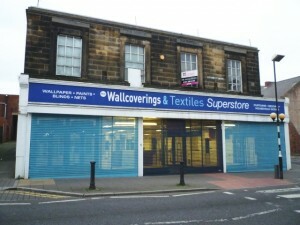 Frank’s arrival in North Shields ensures that the town’s former Woolworths building – most recently occupied by the MIS Wallcoverings & Textiles Superstore – will not remain unoccupied for long. Back in August, when MIS was still trading from the site, I reported that the property was ‘for sale or to let with vacant possession’; returning three weeks ago, I noted that MIS had moved out and the unit was empty. 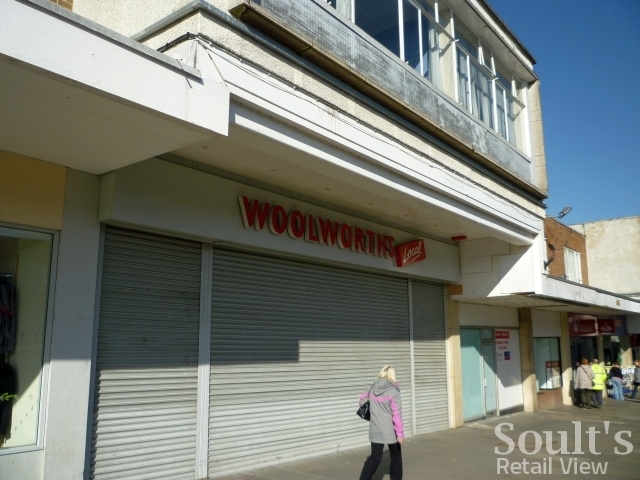 With Wallsend also crossed off the list in recent weeks, North Shields’ ex-Woolies being filled means that 32 of the 33 North East Woolworths that closed three years ago will have secured new tenants. Only the Newton Aycliffe ex-Woolies remains to be filled, though current development works nearby – including the upcoming arrival of a new Aldi store – are likely to boost the potential for new lettings elsewhere in the town centre. In the meantime, having all but one of the region’s ex-Woolies reoccupied isn’t a bad hit rate at all given that the high street is supposed to be ‘dying’. Instead of constantly predicting doom, we should be celebrating those successful, expanding retailers – like Frank’s – who are investing in our high streets and bringing empty properties back into use.